As Physiotherapists, we often get asked what the difference is between Clinical Pilates classes and gym run classes. Although both versions use machines called reformers, that is where the similarities end. Pilates is a form of exercise targeted at improving your core strength, balance and stability. It focuses on building strength in your deeper layer of abdominal muscles, your deep supportive spinal muscles and your hip/pelvic musculature. The idea being that building a strong core foundation will allow your body to function at a higher capacity, improve your posture and reduce the incidence of lower back pain. The first major difference is that Clinical Pilates reformer classes are run by fully qualified Physiotherapists, not Pilates Instructors. This means that not only does your Instructor have 4 years of university training in anatomy, physiology and injury management, they are also trained in what is known as “clinical reasoning”. This means that they are fully qualified and highly trained to assess you and establish which particular type of exercise is suitable for your injury or condition, whether that be lower back pain, shoulder pain, a medical illness or pregnancy. Your Physiotherapist will also be able to modify your exercise program to account for flare ups or changes in your injury on a particular day or week. Hence, your Clinical Pilates program is specifically tailored to meet your needs. The second major difference is the class size. Clinical Pilates classes are usually kept to a maximum of 3 or 4 people per group, ensuring that you receive adequate supervision and attention, in order to monitor technique and prevent injury. Gym classes often have 10-12 people in a class, sometimes up to 20! It is impossible for the instructor to monitor technique and also modify exercises for the individual. 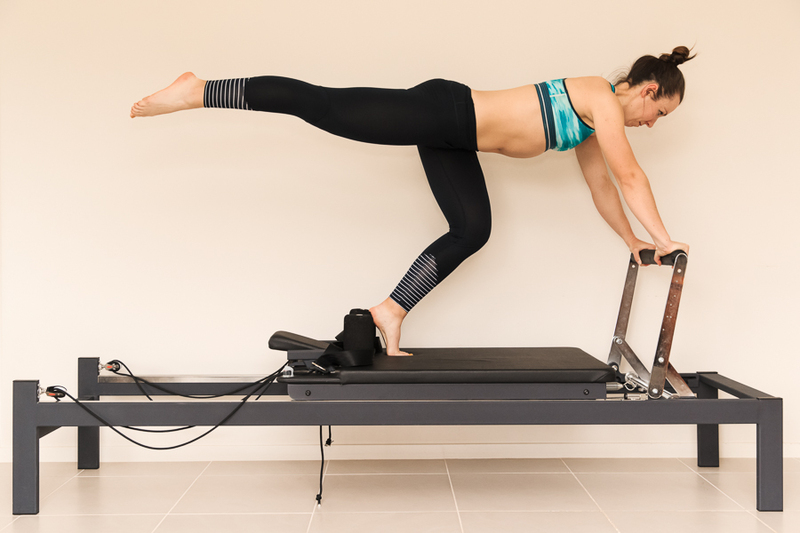 When using any piece of exercise machinery whether it be a reformer or gym machine, correct technique is essential otherwise injuries can occur. It can be very difficult to monitor each person closely in bigger class sizes, which is why classes are kept small. Why should I do Clinical Pilates if I don’t have an injury? You don’t need to have an injury to attend Clinical Pilates classes, many people attend classes to keep fit and healthy, enjoying the personalised attention that a small class size allows. It gives them the peace of mind to know that they are performing the exercises correctly under qualified supervision. Clinical Pilates improves core strength, changes your body shape, assists with posture and alignment, and provides a safe way to tone the whole body. There can be the misconception that Clinical Pilates won’t be as challenging as a gym based reformer class. However, this is not the case at all. Programs can be as challenging as the individual requires and are always modified and progressed over time as your body adapts. It all comes back to the small class sizes, and therefore having the ability to individualise programs.